This week, Boston said goodbye to its Cardinal, sending him off with the hope the next time they see him he will be stepping out on the balcony of St. Peter’s Basilica. Some may question how likely that is – even Cardinal O’Malley himself – but there is hope nonetheless. 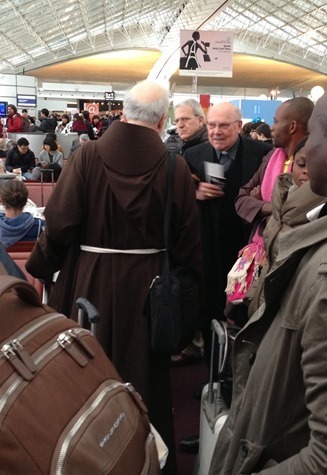 At Logan Airport, it was clear that all the staff understood the importance of the trip he was about to make and perhaps somewhere, in the back of their minds, that they might be helping out the next pope. Throughout the process going through security and waiting for his flight, staff members – police officers, TSA workers and airline desk employees – would approach him. Some asked for a blessing or others just wanted to have a chance to say hello. He greeted everyone as they came to him, always glad to pose for a photo, bless a rosary or a prayer card, or just listen to a story. When delays in New York stood a chance of delaying his flight, staff from Delta Airlines worked diligently to rebook him through Paris, knowing that once he was on European soil his options for getting to Rome were far greater than if he were stuck in New York. Though no one actually said it, there was a pervading sense that all who interacted with him felt, in some small way, were playing a part in bringing this historic event about. 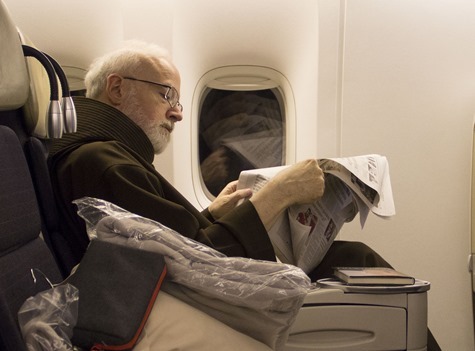 After the overnight flight to Paris, Cardinal Sean arrived in what should have been far too little time to make his connecting flight to Rome through the chaotic Charles de Gaulle airport, but a delay in the Rome leg of the flight provided just enough of a window for him to make the connection. 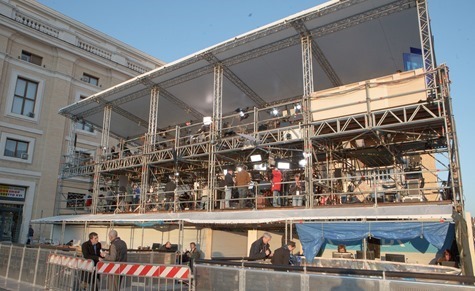 However, the arrival was not in time to be present for the Holy Father’s Wednesday general audience, his last public appearance before stepping down as Pope. 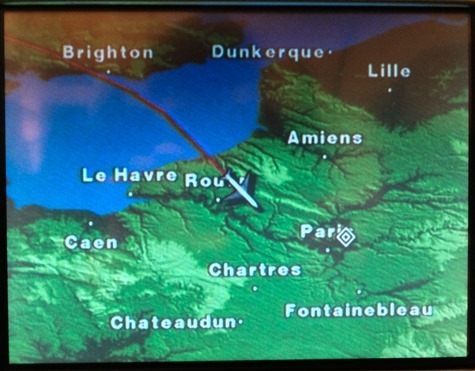 Coincidentally, Cardinal Sean was not the only Cardinal-elector on the flight. Waiting at the gate, he met Cardinal William Levada, the successor of Pope Benedict as the Prefect of the Congregation for the Doctrine of the Faith who was elevated to cardinal along with Cardinal Sean in the 2006 consistory. After arriving at the Pontifical North American College where he and the other American Cardinals will stay until the actually enter the conclave to elect the next pope, Cardinal Sean spent the rest of the day resting and preparing himself for the next day’s meeting with the Holy Father. 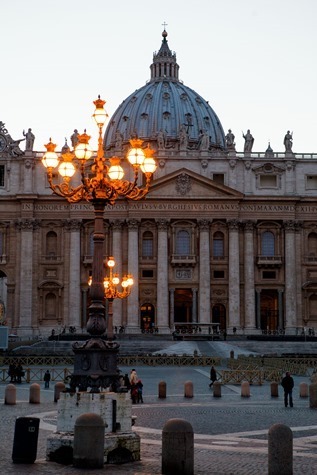 In the evening, I had a chance to visit St. Peter’s Square and the Basilica. By that point there was very little sign of the nearly 150,000 pilgrims who had packed the square that afternoon. In fact, almost all anyone saw were members of the media. It was impressive to see the huge number of reporters and photographers from around the world gathered to share this event with their audiences back home. For me, this was the takeaway of the day: that despite some people’s assertion that the Church is shrinking in relevance and that people have no more need for “organized religion” I cannot imagine another event that would garner so much worldwide attention. 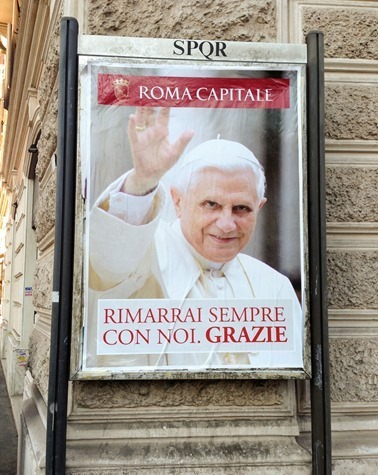 Even though some people may not always want to hear what he has to say, clearly the Pope is still relevant in the modern world. 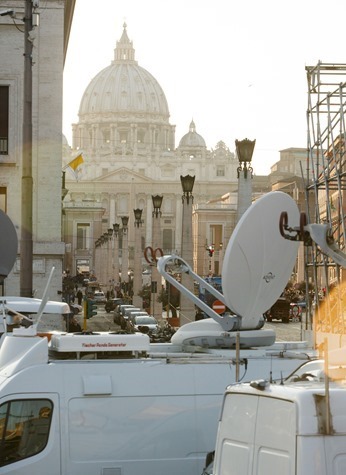 Gregory L. Tracy, managing editor of The Pilot, the newspaper of the Archdiocese of Boston, is writing from Rome. Gregory L. Tracy is the Managing Editor of The Pilot, the newspaper of the Archdiocese of Boston and America's oldest Catholic newspaper.